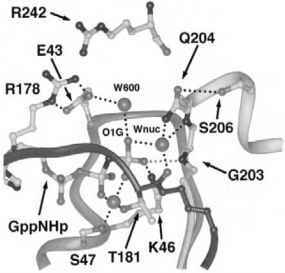 Ga subunits are members of the Ras superfamily, which also includes translation elongation factors and the components of the signal recognition apparatus. In mammals, the family of Ga isoforms is encoded by 16 genes; these can be sorted into four closely related homology groups or classes named for representative members of each class: Gas, Ga;, Gaq, and Ga12 (Fig. 1). Two variants of Gas are generated by alternative mRNA splicing. Each member of the Ga family interacts specifically with one effector or effector isoform, although certain effectors are regulated by more than one species of Ga. Known effectors include all isoforms of AC: Gas, Gaolf, and Ga; (a negative regulator of types I and V AC) ; PDE: Gat; PLCP isoforms: Gaq class members ; and p115RhoGEF: Ga13 . Effectors of certain Ga proteins, Gao, and Gaz, remain in question. cGa subunit is a chimera comprising residues 26 to 215 of bovine Gat, residues 220 to 298 of rat Ga^ and residues 295 to 350 of bovine Gat. GoLoco motif peptide from RGS14. AC: a complex between the C1 domain of adenylyl cyclase type V and the C2 domain of adenylyl cyclase type II. These domains comprise the catalytic unit. 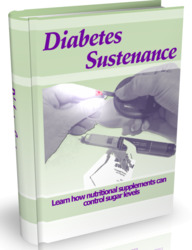 A soluble forskolin derivative is bound at the regulatory site of AC. The domains adopt the open conformation. gThis complex contains the ATP analog P-L, 2',5', dideoxy adenosine triphosphate, and two magnesium ions. The domains adopt a closed conformation. the first and second P strands of the Ras-like domain. Ga subunits are modified by N-terminal myristoylation  (Gat) and thioester-linked palmitoylation (Gas, Gaq, Ga13), or both (Ga;, Gao, Gaz) [9,10]. The latter confers plasma membrane localization upon Gas and Gaq but may be reversed upon activation . Myristoylation is required in some cases for activity, for example, efficient inhibition of adenylyl cyclase by Ga;1 . 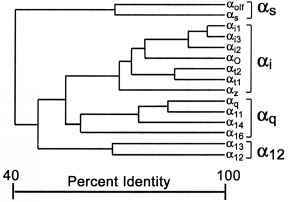 Figure 1 A phylogenetic tree, using CLUSTAL_W(81) of the mammalian family of human Ga subunits. promotes a set of ionic contacts between Switch II and the (34-a3 loop called Switch III. 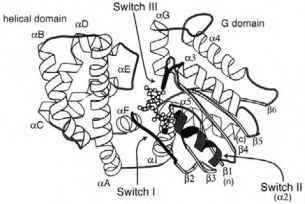 Upon GTP hydrolysis, the network of interactions between the three switch regions is altered or lost. The purine ring of the guanine nucleotide is cradled by two conserved loops, (35-aG and (36-a5 (Fig. 2). The aspartate residue within the first sequence (... FLNKKD...) confers specificity towards guanine nucleotides. The second loop acts in a supporting role. A variety of a mutations have been described, some of physiological relevance, that directly affect GTP hydrolysis, nucleotide specificity exchange, and effector coupling. Such mutants are useful for probing or controlling the action of G proteins in cell culture or in vivo (Table 2). between Ga^GTPyS and the catalytic domains of adenylyl cyclase  and that between Ga t^GTPyS and the y subunit of PDE , the effector is bound at the cleft between Switch II and the a3-p5 loop of Ga (Fig. 4). The effector specificity of Ga is conferred both by side chains in the effector binding segments and the conformation of the polypeptide chain within them. For example, Gai1 inhibits the Gas-stimulated activity of adenylyl cyclase isoforms I and V, but does not bind to the Gaa activation site , possibly interacting at a dyad-related site in the C1 domain instead. The ability of Gai1 to discriminate its own from the Gas binding site is unlikely to be entirely due to the amino acid sequence of the Switch II and a3-^5 loops, because all but two amino acids in the adenylyl cyclase contact region are conserved between the two Ga subunits. The failure of Gai1 to act as an activator (or Gas as an inhibitor) may stem from differences between the two proteins in the spacing and orientation of the a3-^5 loop and the a4-^6 loop that buttresses it . 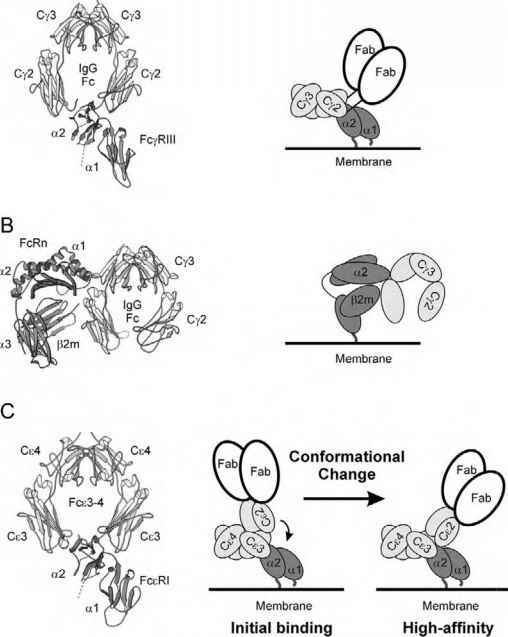 Indeed, the a4-^6 loop had been proposed, on the basis of mutagenesis experiments, to direct the specificity of Gai2 and Gas toward their respective binding sites on AC , even though the structure of the complex revealed no direct contact with effector. In its interaction with PDEy, Gat uses the same structural elements that Gas employs in contacting AC. Although the chemical basis of certain of the Ga-effector interactions are conserved, the amino acid sequence differences between Gat and other Ga subunits are sufficient to ensure specificity. There is structural and biochemical evidence to suggest that Gas stimulates adenylyl cyclase by controlling the relative orientation of its catalytic domains. Gat (transducin), on the other hand, sequesters an inhibitory subunit of cyclic GMP phosphodiesterase. fluoroaluminate (Mg2+^AlF4-1 ) . Fluroaluminate (AlF3) and its hydrates mimic the y phosphate of GTP  and in the presence of GDP promote the activated state of Ga . Structural studies of Ga;i and the Ga^GDP^Mg^AlF4-1 complexes demonstrate that AlF4-1 forms a hexacoordinate complex with a P phosphate oxygen of GDP and a water molecule (the presumptive nucleophile) as axial ligands, thereby approximating the pentacoordinate transition state for phos-phorolysis [13,25]. The structures show that, relative to the ground state (Fig. 2) the Switch I arginine and Switch II glut-amine must be substantially reoriented in order to stabilize the transition state. 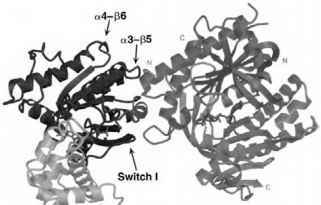 It is therefore possible that a conformational rearrangement within the active site corresponds to the kinetic barrier to GTP hydrolysis.